In “Frozen”, the song is sung by the character Elsa. 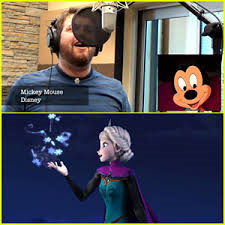 But one man puts his vocal chords through a workout and performs the Oscar-winning song as some of Disney and Pixar’s most famous characters. Watch and be amazed!